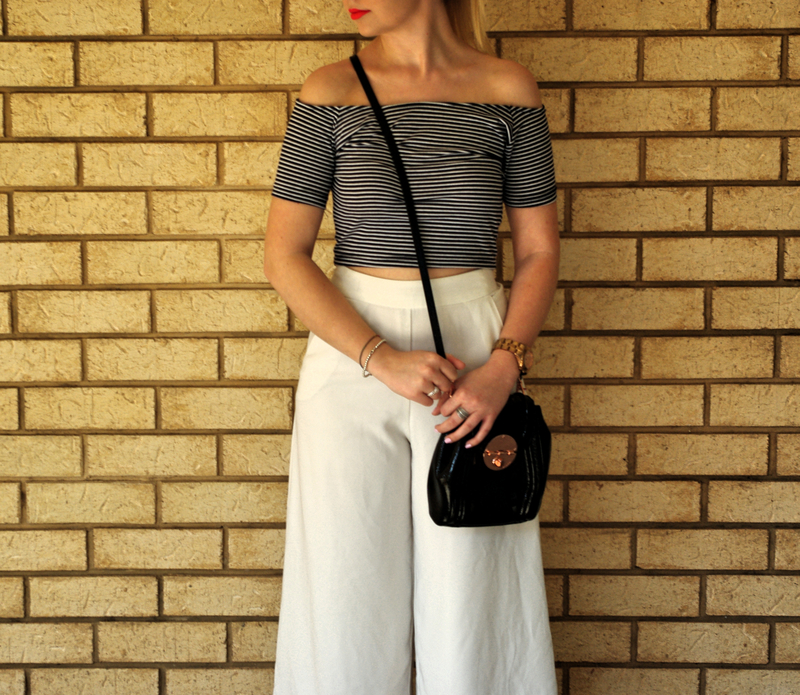 If I had to name my favourite item of the season it would have to be the culotte pants. A high and fitted waist that falls to a baggy hem, just above the ankles. I chose to go for the more daring colour – white! It is this seasons colour, isn’t it? And I think we’ve all been waiting for a staple fashion piece that is as fashionable as it is comfy! Of course versatility is up there on the list too. These pants can be teamed with pretty much anything. Here I’ve shown off the fitted waist with a crop, off the shoulder, fitted top. I added a bold red lip and high pony to set it off and to create an 80’s inspired look. 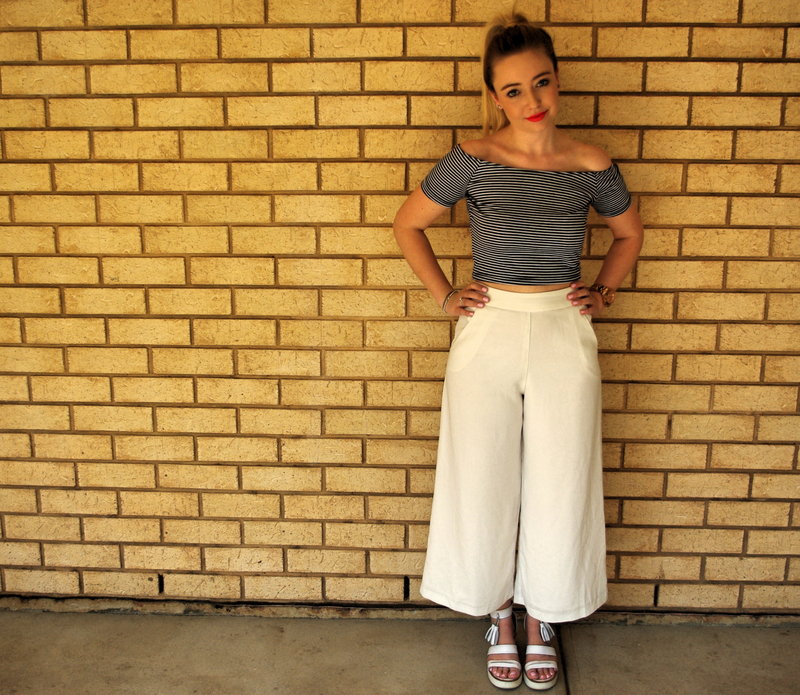 Alternatively, I’ve also styled the culottes with a printed and colourful asymmetric tank. To dress these down, grab a basic grey tee, tuck it in and add a statement necklace for a quick, yet chic, outfit! I chose my chunky white Windsor Smith sandals to modernise the look, but these could easily be swapped for a taupe ankle boot to take us from summer to autumn. Don’t forget to add a light knit to transition into cooler weather!